As we already knew Samsung Galaxy Camera shares a lot of feature of today’s smartphone, now we are exploring deeper. Earlier we heard that Samsung used Gorilla Glass to protect 4.8-inch display of Galaxy Camera. 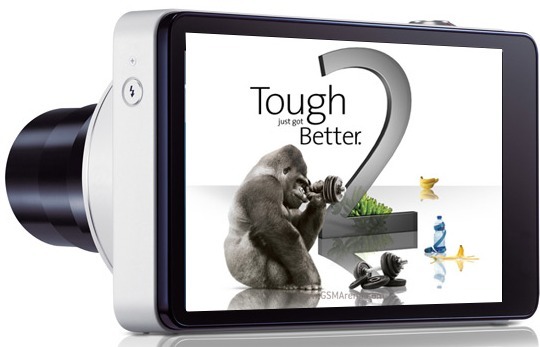 Now we are sure that the Galaxy Camera’s display is indeed protected by the second revision of Gorilla Glass. Sure it’s not going to affect the purchasing decisions of anyone, but it’s still good to know that Samsung didn't cut any corners there. New Corning Gorilla Glass 2 is up to 20 percent thinner than its predecessor. It enables better touch responsiveness and brighter images without sacrificing the damage resistance consumer’s demand.